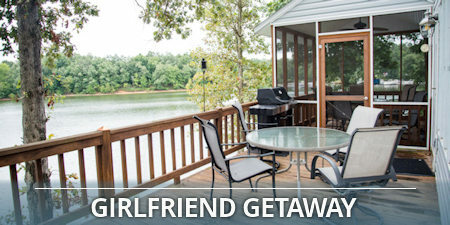 Enter to win a two-night stay in beautiful two-bedroom cabin at Lynnhurst Family Resort in Murray, Kentucky! The winner will enjoy a two-night stay in a two-bedroom cabin on Kentucky Lake as well as a $25 gift certificate to The Dutch Kitchen, Lynnhurst's on-site restaurant. We will announce the winner Thursday evening, April 25th via email. 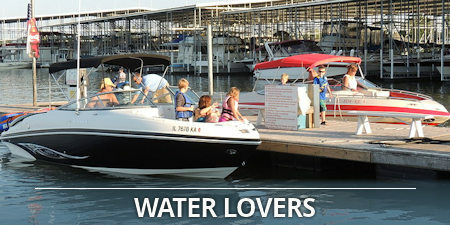 Start your search below for finding the perfect Kentucky Lake or Lake Barkley accommodation. Everyone knows Kentucky Lake and Lake Barkley are excellent fishing lakes. But did you know there are plenty of things to do besides fishing? 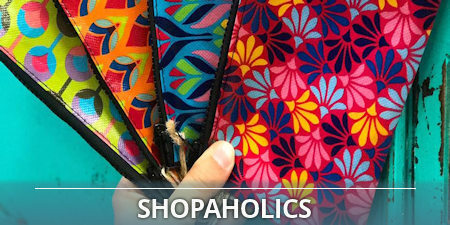 Check out these topical itineraries to get vacation ideas. 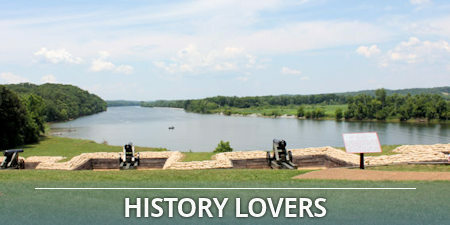 Thinking About Visiting Kentucky Lake & Lake Barkley? Cabins and cottages, campgrounds, condos and scenic lakefront views are plentiful along the shores of Kentucky Lake and Lake Barkley in Western Kentucky and northwest Tennessee. Whether located right along the waterfront or nestled in the secluded woodlands that surround this natural escape, visitors to the lakes are destined to fall in love with the culture and heritage that makes vacationing here so attractive. Kentucky Lake cabins offer easy access to waters teaming with bass, crappie and other freshwater fish. Anglers can stay in quaint fishing cottages or find comfortable accommodations at a fishermen’s motel, all located within a short distance to private marinas where fishermen can dock their boats and purchase fishing supplies. Those seeking an escape to nature will find a variety of cottages tucked away in the wooded areas that are plentiful around Kentucky Lake and Lake Barkley. Walking trails, hiking trails and bike trails are located nearby almost any lodging in the region. So there is plenty of fun to get into while you’re staying in Western Kentucky. The communities that surround Kentucky Lake are filled with lakefront cabins and cottages, which provide some of the loveliest views of the lake, especially at sunset. If you’re looking to find a hideaway where you can truly relax and kick back with a good book, then you’ll find several lodges to choose from. The convenient location of each Kentucky Lake cabin or cottage offers visitors a variety of local restaurants to choose from. If you don’t want to leave the grounds of your resort during your Kentucky Lake or Lake Barkley vacation, then you’ll want to check out one of the many that have restaurants right on site. While some vacationers may be looking to get away from it all, others may be seeking something more adventurous. There are loads of campsites and a few primitive cabins found all around the region. Some will allow you to set up an RV or camper, while others even include stables for your horses should you choose to bring them along for the trail rides. 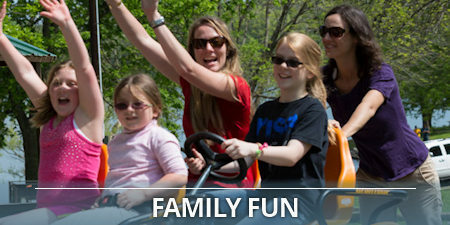 A variety of attractions are located near the lodges at Kentucky Lake and Lake Barkley, which makes it easy to get the whole family together for some outdoor fun and excitement. 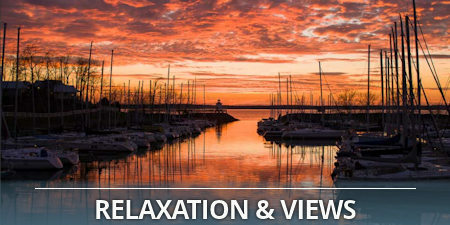 No matter where you stay on Kentucky Lake or Lake Barkley you’ll find accommodations that come equipped with just about any amenity you could ever need while on vacation. Several lodges have fully-equipped kitchens for those who want to stick around their Kentucky Lake cabin for their meals. The motels and hotels provide cleaning services that allow vacationers to feel like honored guests during their stay. When selecting your overnight accommodations for your Kentucky Lake vacation, please know that some resorts and lodges are designed for extended stays, therefore a minimum night stay may be requested. Some resorts, especially campgrounds and campsites, welcome pets. Others maintain a pet-free campus. No matter where you choose to stay around the lakes, be sure to get a list of the resort’s guidelines and recommendations. The more you know about the places you’re staying, the more fun you’ll have during your visit to Kentucky Lake! There are few things more beautiful than a Kentucky Lake sunset. The best place to view a sunset is from the western shore of Land Between The Lakes.